I’ve had a cold this week. It turns out it was nastier than what I gave it credit for. I don’t do ‘sick’ very well. It’s just as well, it doesn’t happen very often, and I don’t even get a serious cold each year. Looks like this is my off-year. But this week has been a very good mail week. And that improves the situation greatly. They were ‘planned’ mail items as both deliveries were from clubs. First to arrive at my desk (yeah I only took one day off work, stupid, stupid, stupid), was my next shipment of Stranded in Oz. Wow is it beautiful! I think it’s my favourite instalment so far. 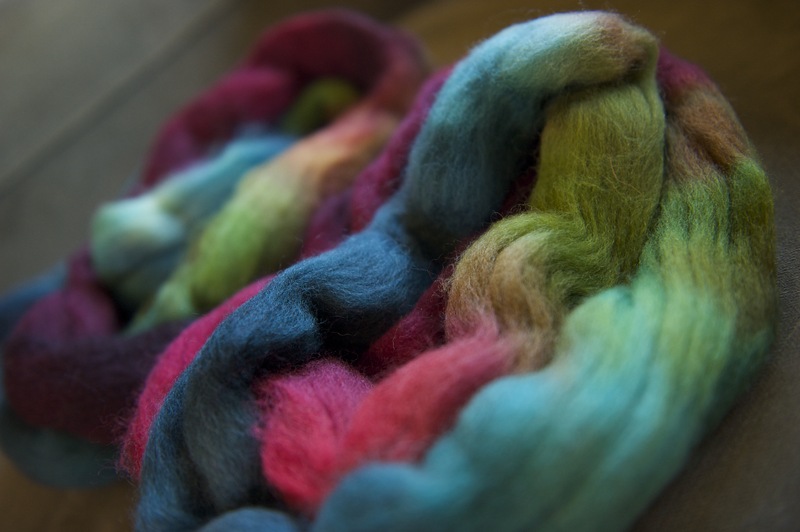 These are going to be something luxurious, I’m not sure I can make it into socks, but I will consider it! 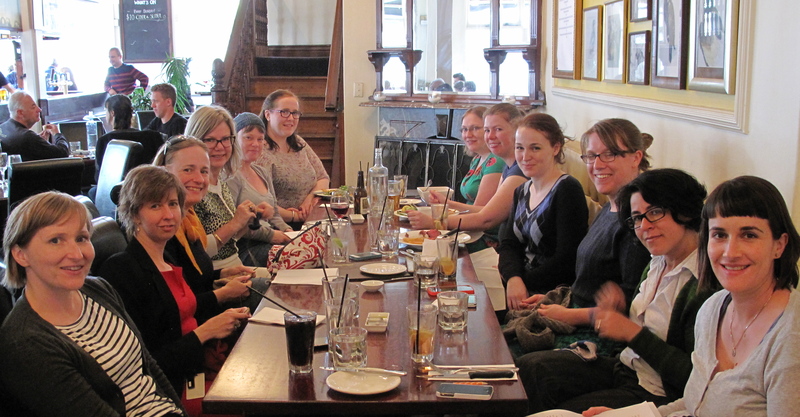 Next up was my first instalment of the Southern Cross Fibres Club. It is jaw-droopingly beautiful, if I were a colour way this would be it. 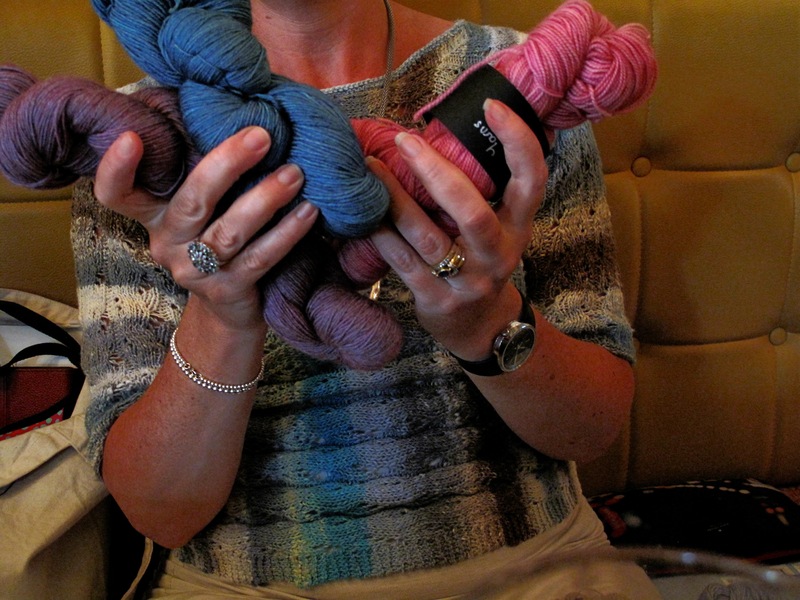 I’ve decided not to order more of it (which the club allows, best club ever), for space reasons, no that’s not true, well it’s kind of true because I need to knit more with my handspun, I need to progress to larger garment sized items made from my handspun. 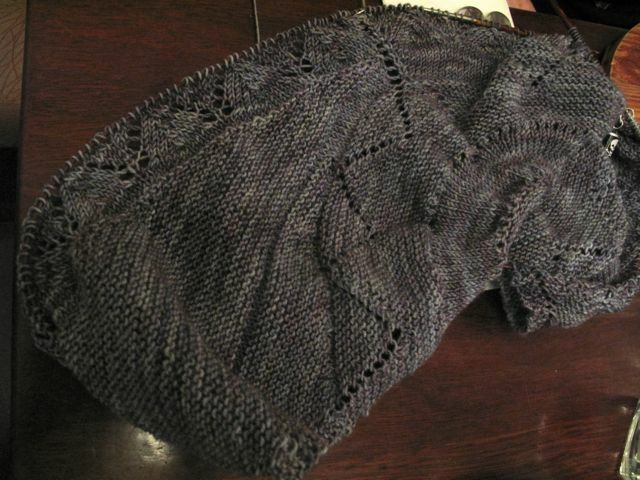 Bottom line, I need to knit more of my handspun and plan accordingly. Imagine a cardigan made from this?! 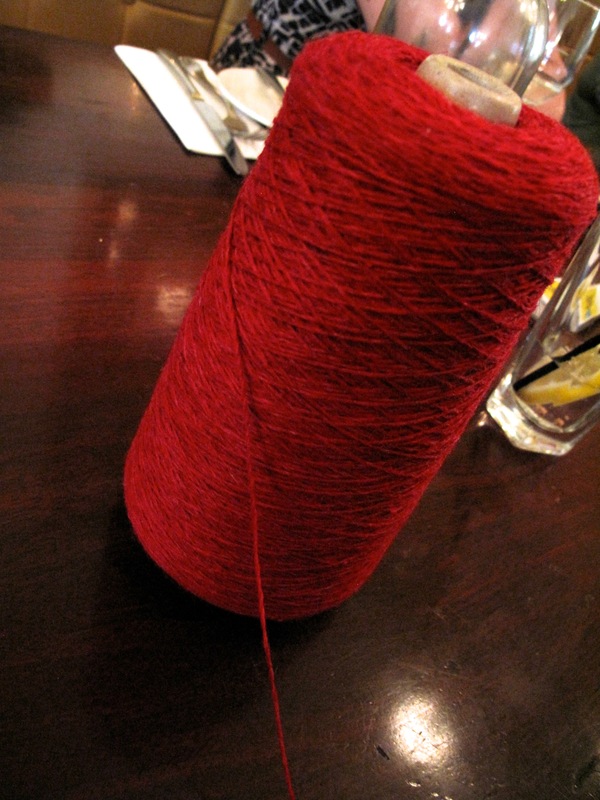 Buying yarn feels so good when you’re feeling low, like I was this week. 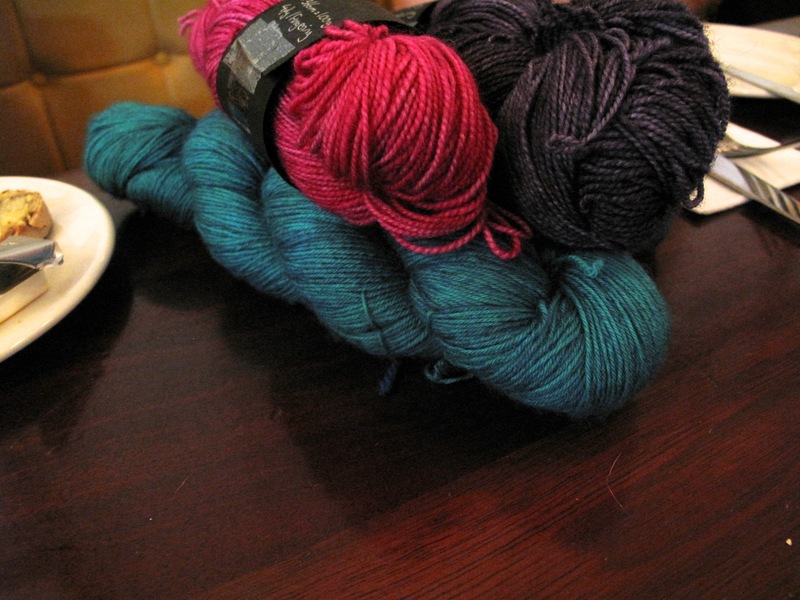 I might also be receiving 5 skeins of sock yarn very soon. I’m very excited. And a book, but that was purchased before I got sick. And here’s where everyone was at with clue 3 tonight, some people have chosen to do clue 3 twice! 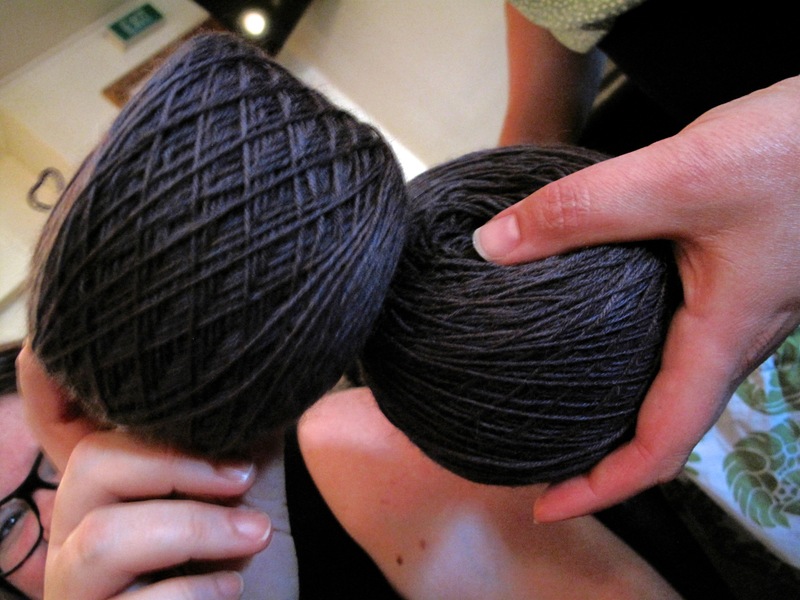 We had a lovely surprise visit from Robyn, but silly me, I didn’t take a photo of her because she isn’t doing an arrow shawl, quite an oversight on my part. It can’t really be spoilers now that it’s Thursday! 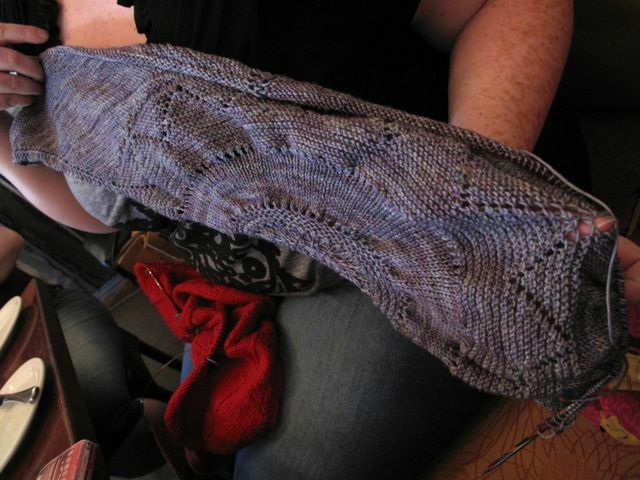 Here’s a wrap up of all the shawls that made it to Richmond Knitters on a hot and public holiday evening, the dedication amazes me. 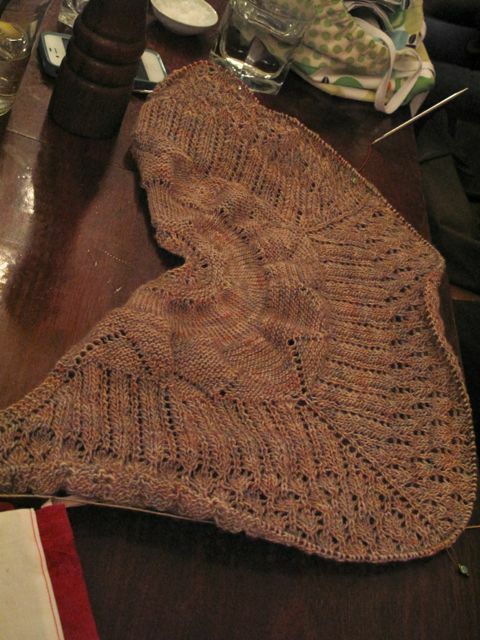 For your viewing pleasure, here are all the shawls which made it along to knit night tonight. With Clue 2 just released things are going to get interesting! I’m going to try really hard not to look at any spoilers to help me make my decision between 2a or 2b? It’s not really cheating is it? 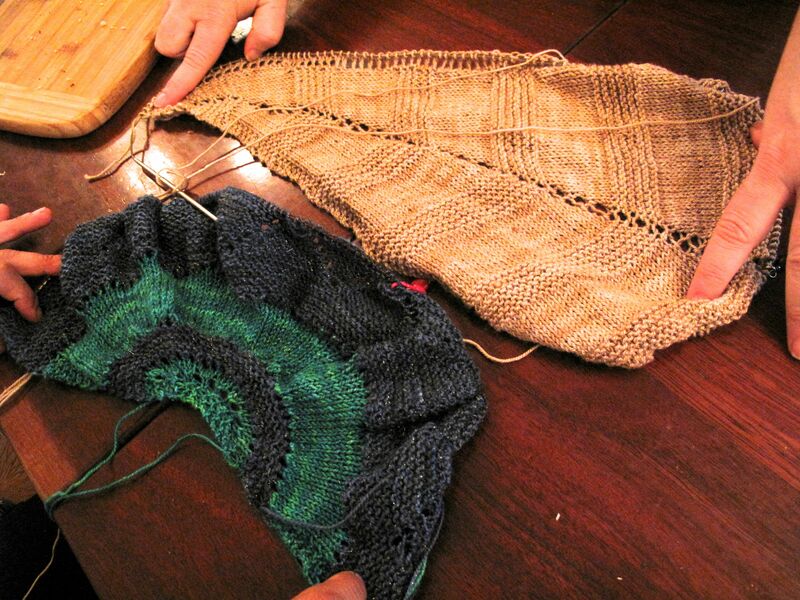 Yarn choices were made, and then remade around the table at Richmond Knitters last night. Lots of discussion around the pros and cons of using one colour or two. 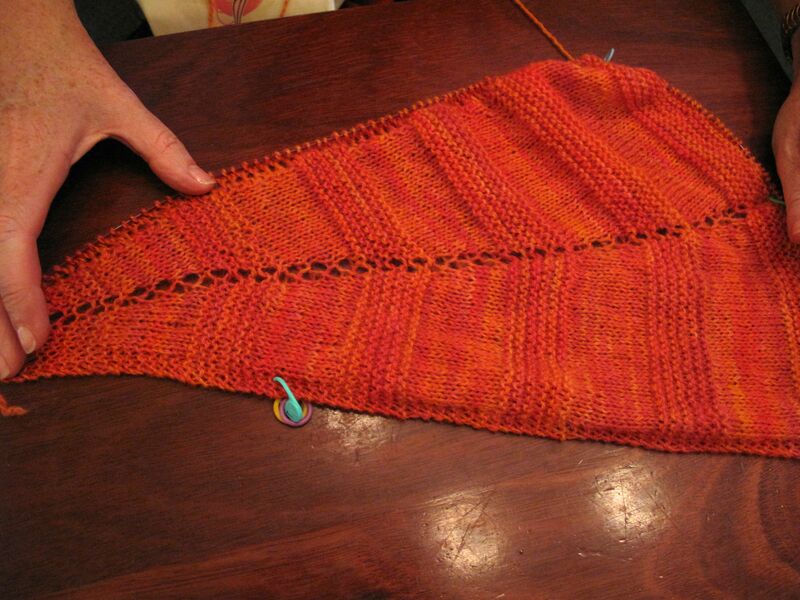 Not long after arriving home from knit night, the first clue was released. It was exciting, far more than I had imagined. I’m beginning with Clue B, as soon as I stop procrastinating! 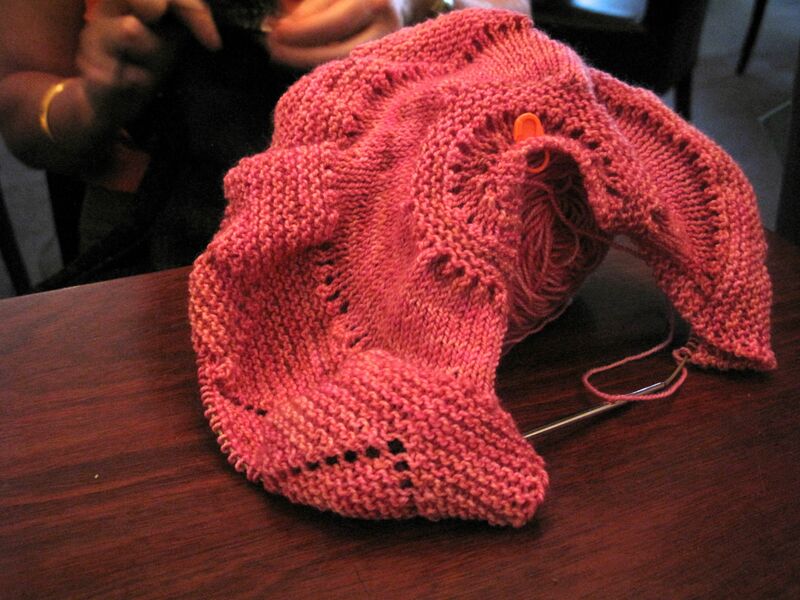 Are you knitting along? Progress shots next week! 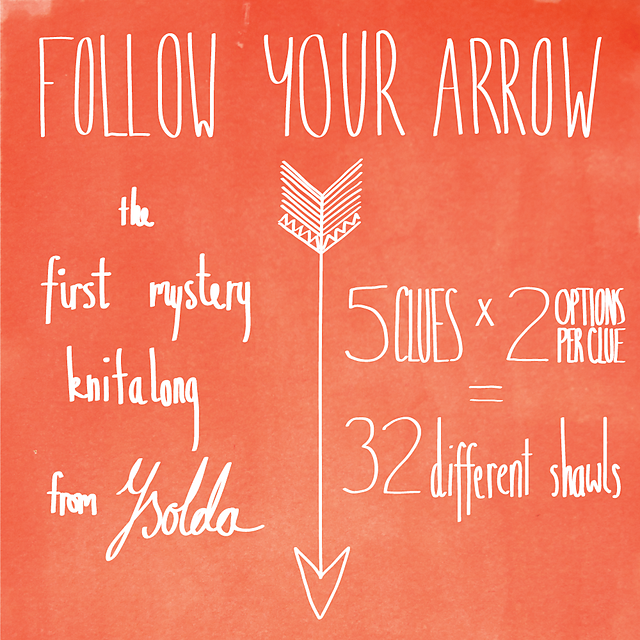 If you haven’t heard of the ‘Follow your arrow’, Ysolda mystery knit-along, then you’re clearly not frequenting the right knitting group! 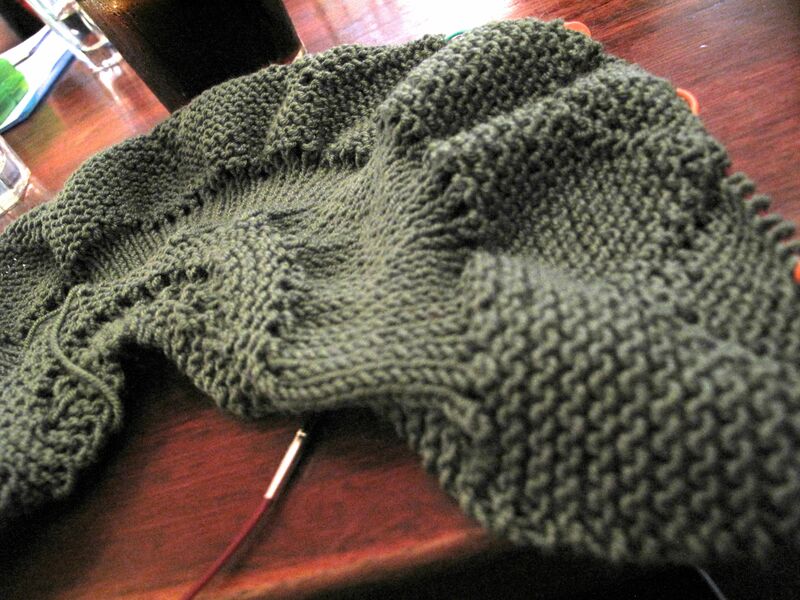 My number one resolution for the year was to not join any knit-alongs, whatsoever. 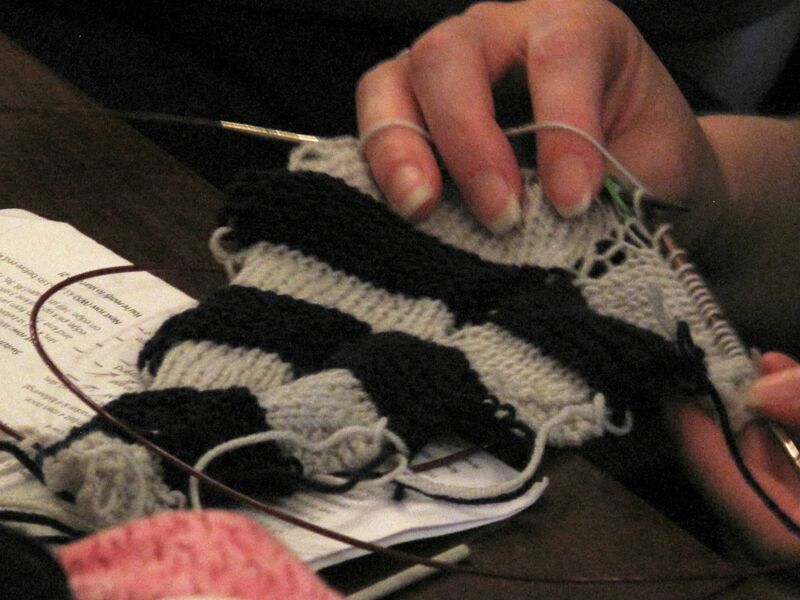 Despite the fact that every (or almost every) Richmond Knitter (near or far, hello Melanie and Bee) is participating. After reading Kate’s blog this week, I’m weakening. 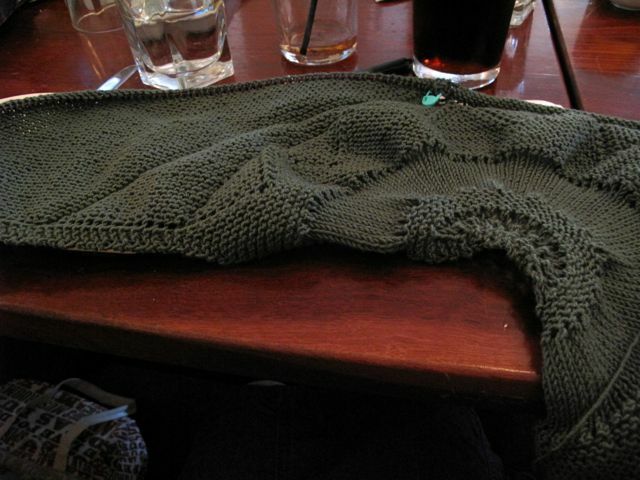 With clues being released once a week, Sharon can only knit so far ahead… this appeals to me greatly. 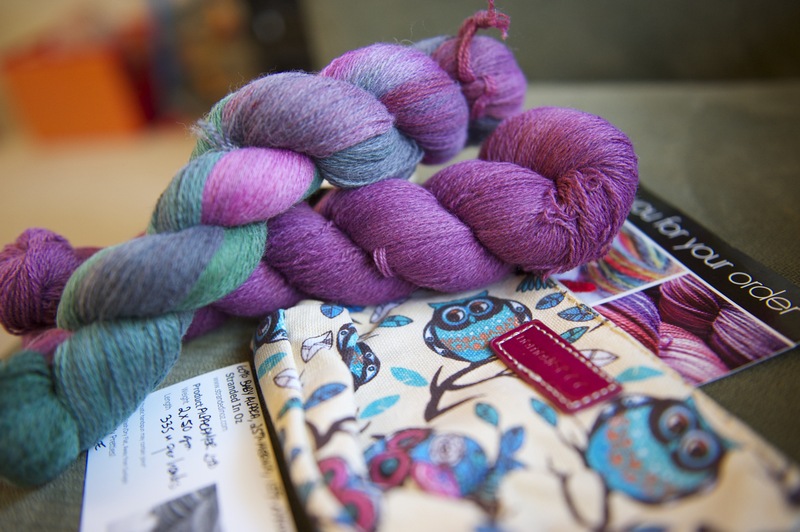 So I went stash diving this morning on my Ravelry stash page, very handy to have your stash info handy in such circumstances. 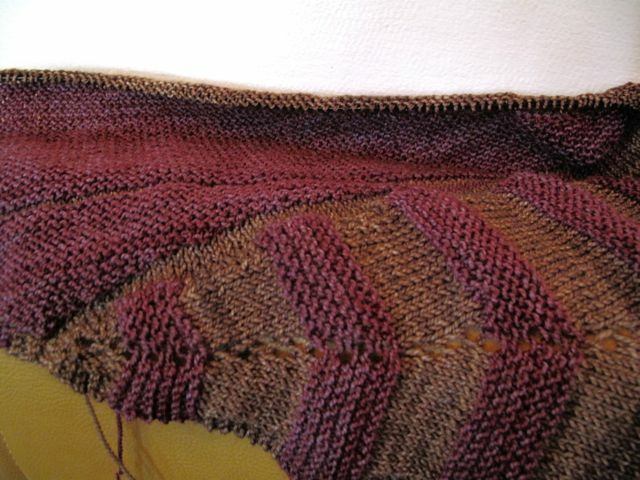 Turns out I only have 2 or 3 choices I can use for this project (stop laughing), without resorting to striping. 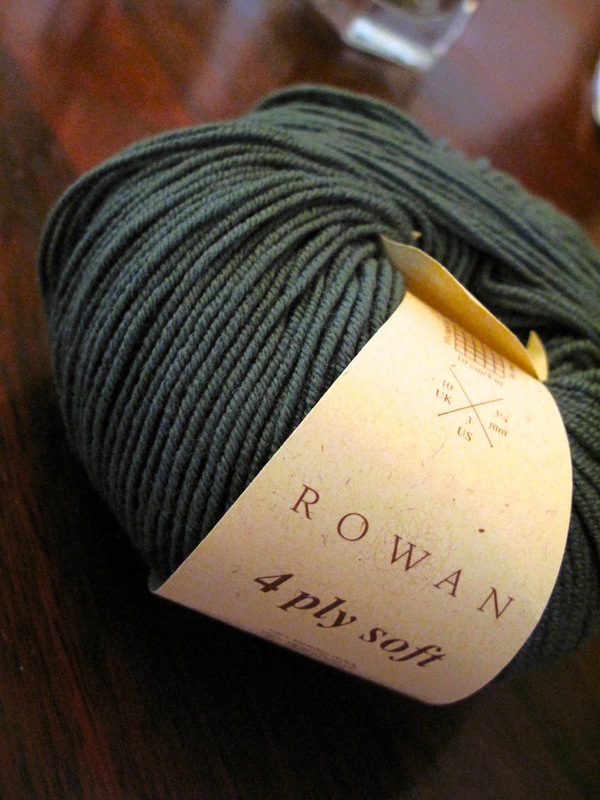 I have 4 balls of Rowan Soft in green, or 10 balls of Bendigo Woolen Mills sock yarn in a grey marl. I guess I’d better get my yarn out to have a squish to help me decide. Regardless of whether I do join this insanity, I’ll keep you updated on the group’s progress week by week, by way of photographs of WIPs on Monday nights, after all that’s part of the fun. 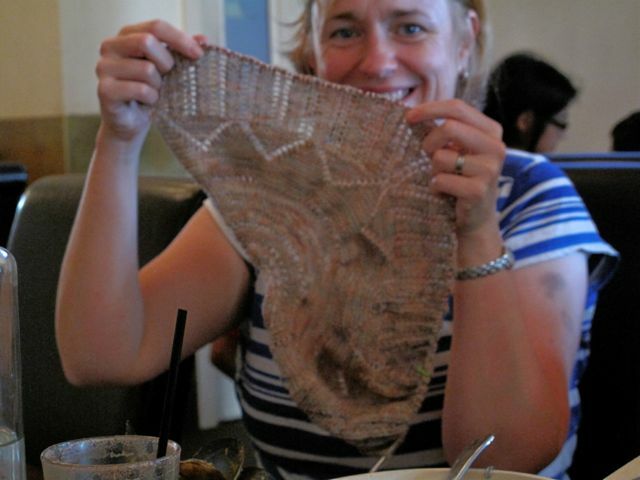 With great sadness The Richmond Knitters farewelled Melanie (to go back home) on Monday night. It’s been quite a journey, although neither of us could tell you how long, we’ve been friends forever. 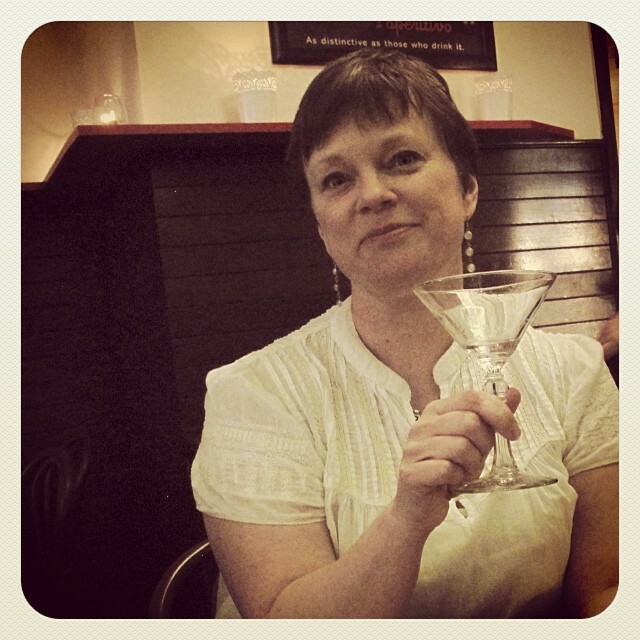 She is currently on a plane winging her way back home, so there can be no more tears… for now at least. It is the end of an era, as someone said to me on Monday night. 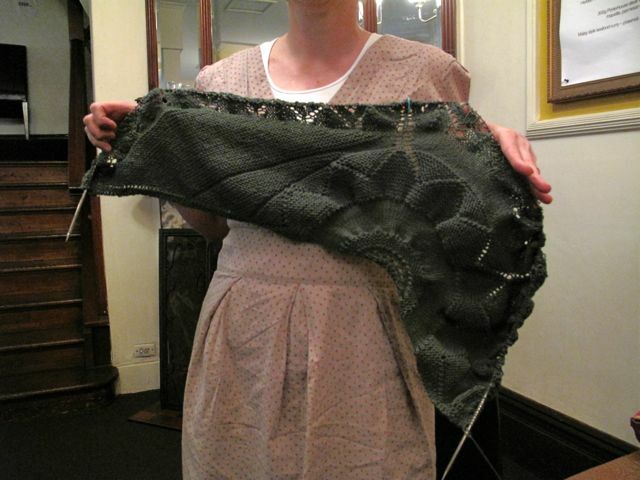 I can’t really remember a time when Melanie didn’t come to the Richmond Knitters, maybe we didn’t exist before then. It’s incredibly brave to move countries, (the selfish) part of me hoped it wasn’t going to happen, but I know it’s for the best. It’s not as if we won’t ever see each other again, or be in contact constantly or instantly, you have to love social media for that. 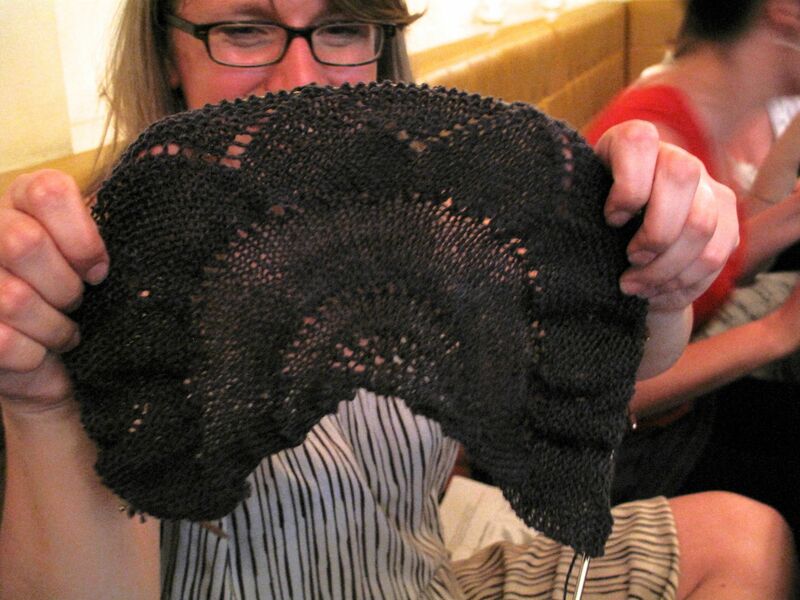 The first time I meet Melanie happened to be at another knitting group held in a yarn store. I thought she was wonderful (apparently I told her she was cool) and invited her along to RK. The rest is history. So many happy memories and gin and beer and good food. We’re going to miss you Melanie. 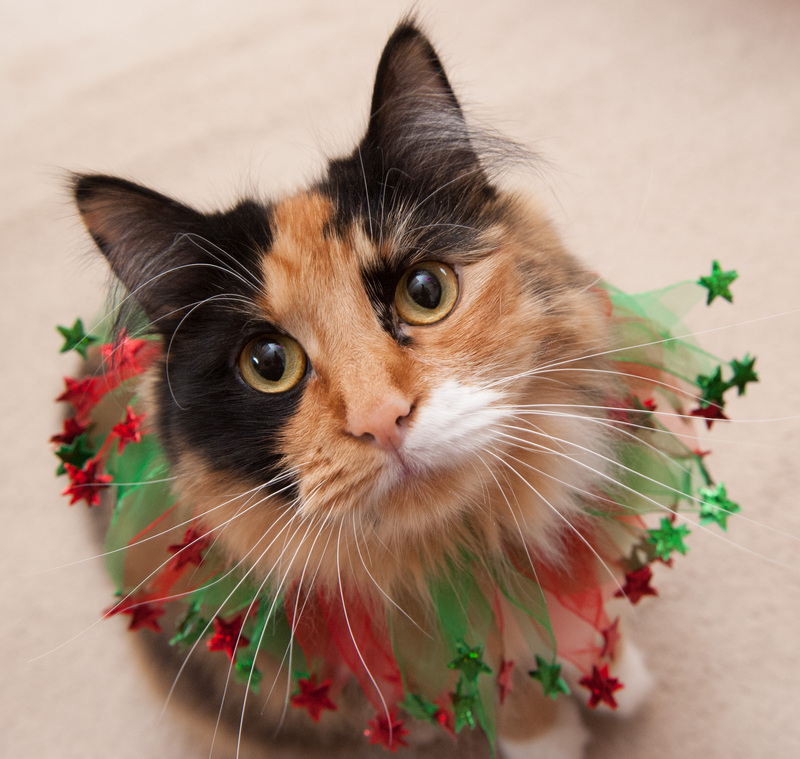 Purl would like to wish you all a joyous and safe Christmas and a Happy New Year. She hopes it is filled with knitting and yarn and boxes, lots and lots of boxes! We are knitting over the holidays, so if you are looking for something to do on a Monday evening, why not join us at the Spread Eagle on Bridge Rd, Richmond ? From 6pm. It is a Richmond Knitters tradition to go out on a Saturday night in December to celebrate the year that was. To spice things up a little this year, I felt a Knitting Trivia contest was in order, we all know how competitive some Knitters can be! I thoroughly enjoyed myself this year, maybe a little too much, after all I didn’t have to answer the trivia questions that made a few knitters drop their stitches, let me tell you. I felt like a high school teacher who had just sprung an exam on her students at a moments notice! 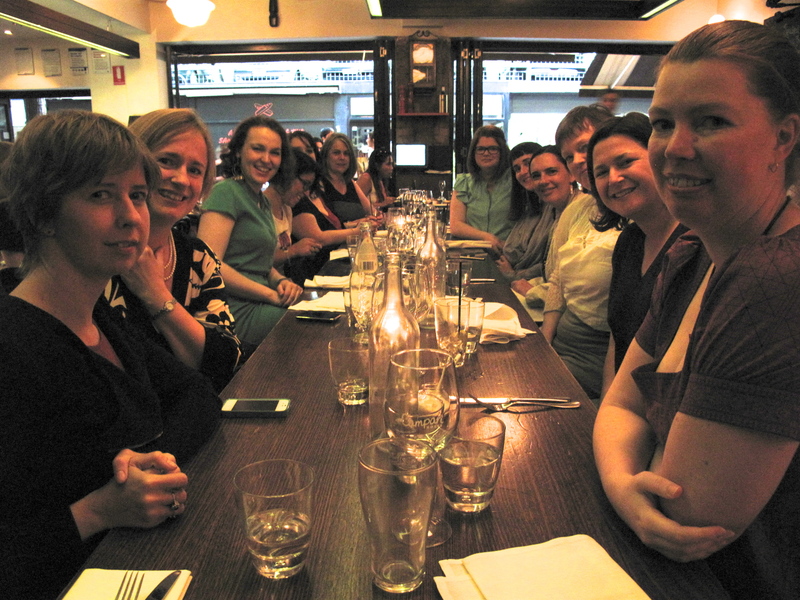 Special thanks to Susanne for donating a lot of the prizes, and thanks to everyone for making the evening so memorable. Here are the Trivia questions from the night, how would you have gone? 1. a. What year was Elizabeth Zimmermann born? b. In what country was Elizabeth Z born? c. What does EPS stand for? 2. a. What is the name of the man behind Brooklyn Tweed? b. 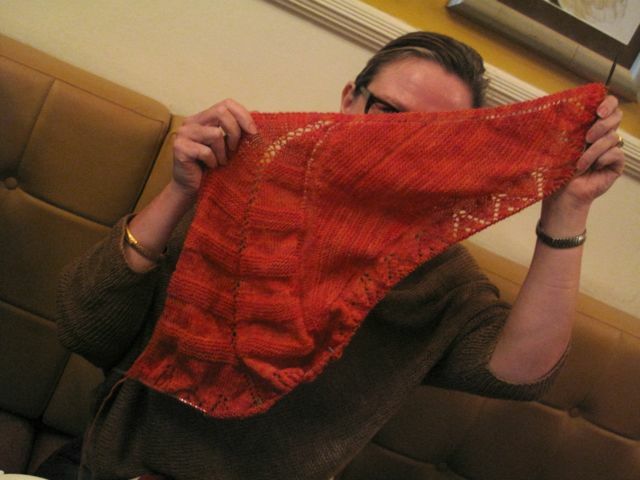 What are the names of the yarns he has manufactured? 3. a. 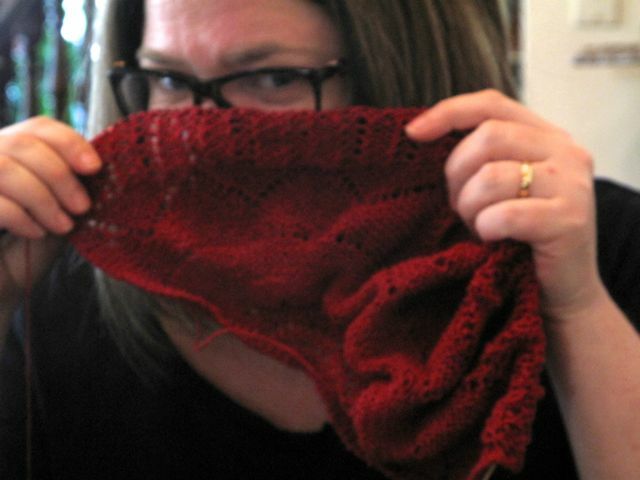 Which pattern has the most projects on Ravelry? b. What is the designers name? c. How many projects are there? 4. 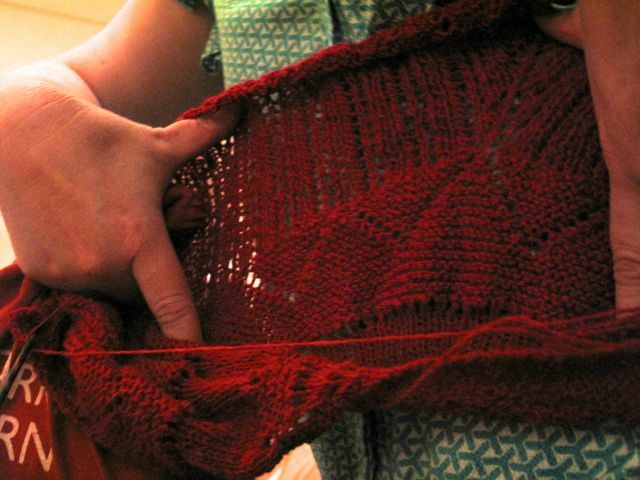 What yarn is used in the most projects on Ravelry? 6. What is the name of Ysolda’s elephant? 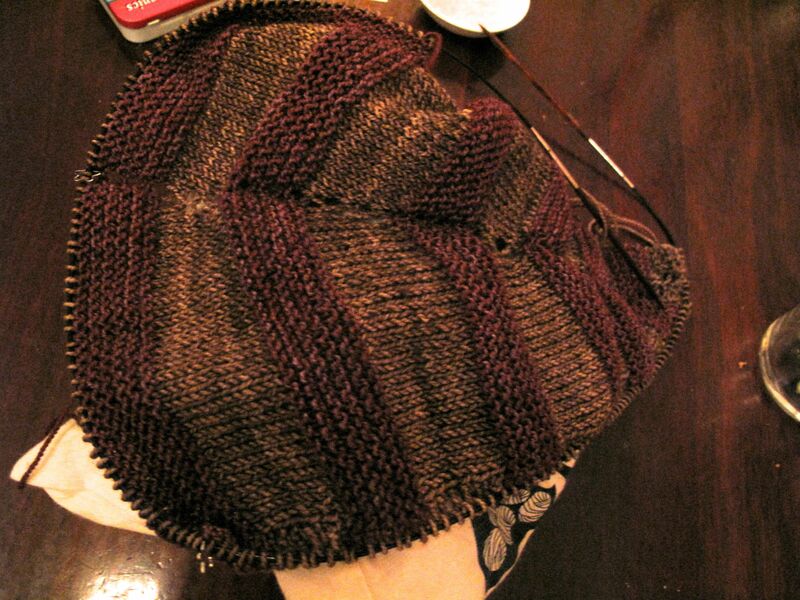 7. Who is the editor of interweave knits magazine? 8. a. What year was Richmond Knitters established? b. 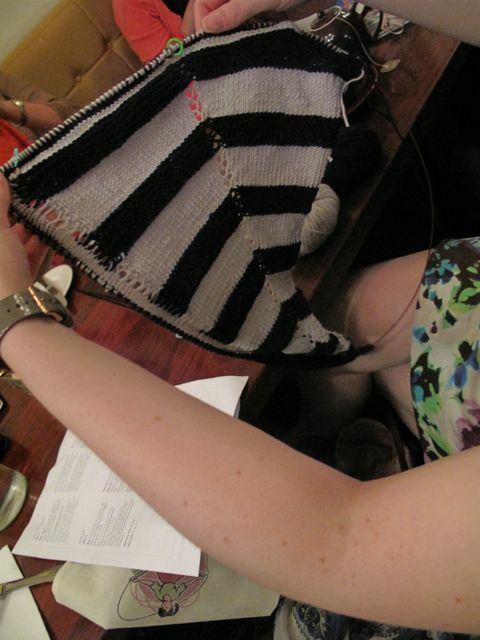 Name the venues Richmond Knitters have met over the years? c. How many people showed up to the first meet? 9. 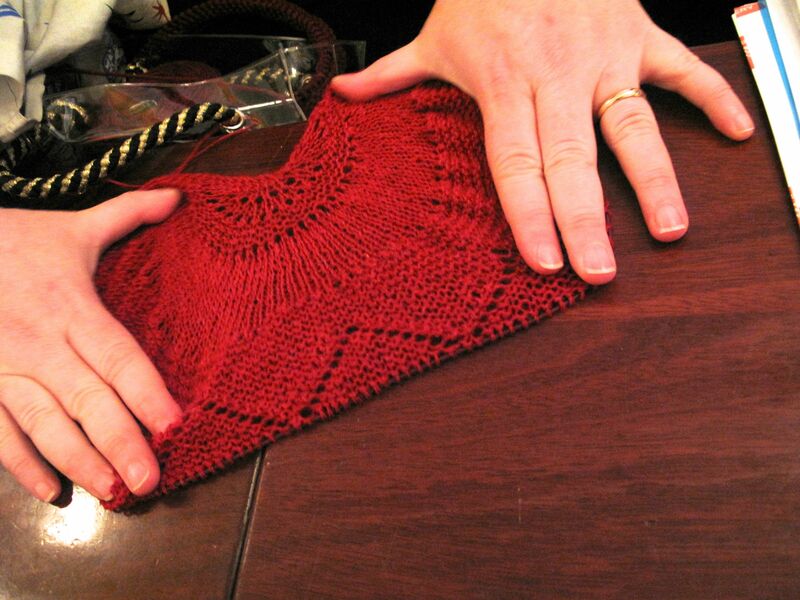 How many projects has Sharon knit so far this year, according to Ravelry? How many cats does Sharon have? 10. At last count, how many metres of yarn does Sonia have?